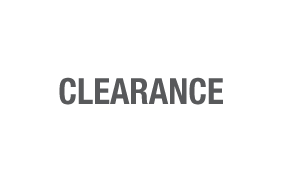 Please Note: Items that are listed within our clearance section are available in limited quantities, be sure to check the number available. All items are sold “as is“ and no exchanges or returns will be given. Lapis Lazuli Heart With Diamond Keepsake Pendant. 14k gold with .05 carat diamond. Designed to contain a small portion of cremation ashes in an internal chamber. Features an 18" 14k gold chain. 1/ea. PLEASE BE SURE TO CHECK THE NUMBER AVAILABLE, AS QUANTITIES ARE LIMITED. 14k gold with 10 pt. diamond. 1"W x 3/4"H.
Sterling silver with 10 pt. emerald. 1"W x 3/4"H.
14k gold with 10 pt. emerald. 1"W x 3/4"H.
14k gold with 10 pt. ruby. 1"W x 3/4"H.
Sterling silver with 10 pt. ruby. 1"W x 3/4"H.
14k gold with 15 pt. sapphire. 1"W x 3/4"H.
14k gold. 3/4"W x 1/2"D x 13/16"H.
14k gold with pearl. 1"W x 3/4"H.
14k gold with diamond. 7/8"W x 3/8"D x 13/16"H.